Join us all this week as we learn about André Michaux, the French botanist who played a little-known but pivotal role in the history of North American exploration. Leave a comment for a chance to win a free copy of The Fairest Portion of the Globe! One of my favorite characters in our new book, The Fairest Portion of the Globe, is the French botanist turned revolutionary agent André Michaux. Few people know that Michaux was Thomas Jefferson’s first choice for the feat of exploration that eventually became known to history as the Lewis & Clark expedition. Michaux has a bit of a shady reputation as a spy, which is entirely unfair. In fact, Michaux was more qualified than either Meriwether Lewis or William Clark to undertake such a trip. André Michaux was born in 1746 in the royal domain of Sartory in the great park of Versailles. He was the son of a farmer in the service of the king, Louis XV. 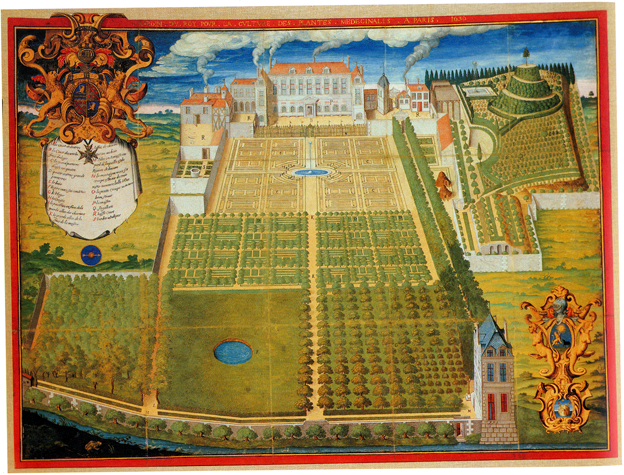 His father’s fields bordered magnificent royal gardens, so it’s not surprising that André became interested in botany. After four years of boarding school, Michaux went to work for his father and developed a passion for the science of agriculture and horticulture. Both his parents were dead before he was twenty. He married in 1769, but his wife died giving birth to their son after less than a year of marriage. Shattered, André threw himself into his work and found mentors among the royal court who were willing to help him cultivate his talents. He resolved to become a naturalist explorer and collector, in the service of his king. 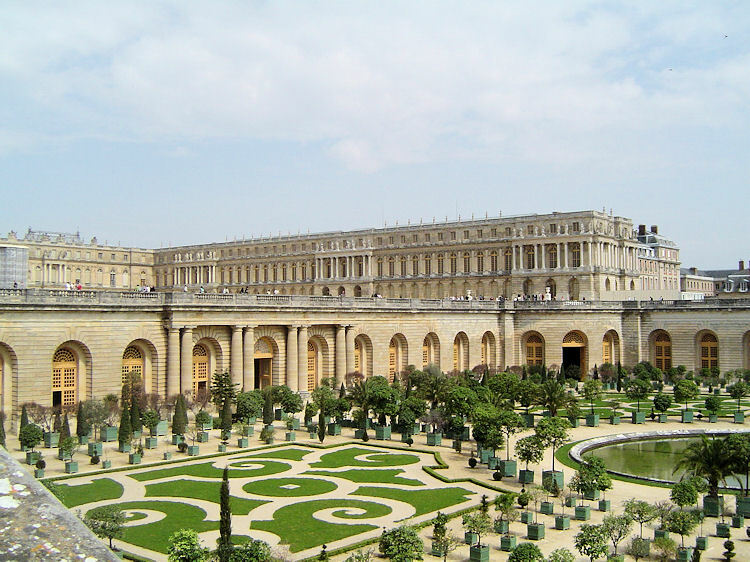 He began formal studies in botany in 1777 and moved to Paris in 1779 to study at the famed Jardin du Roi. Michaux traveled to England, the Auvergne region of France, and Spain, collecting seeds and plants for the royal gardens and nurseries. In 1782, he was commissioned by Marie Antoinette to visit Persia (now Iran) to collect plants and trees for the garden at Trianon. He had a difficult time getting there, braving wild animals and hostile Arabs and Turks. At one point Michaux was kidnapped by Arabs and held for eight days before his consul could arrange for his release. He arrived in Persia in 1783 and spent an amazing year collecting plants and mineral specimens and documenting the animal life of the Persian desert. 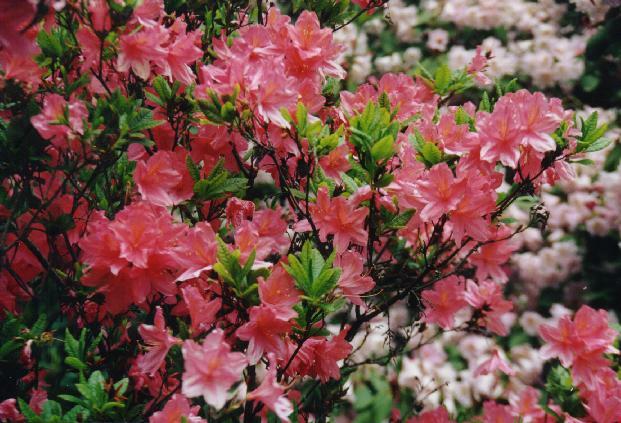 He was back in France by spring 1785, with a magnificent collection of seeds and plants for the royal gardens. Michaux was immediately commissioned the “king’s botanist.” He expected the King to order him to expand his eastern travels farther into Asia, but instead, Louis XVI sent him across the Atlantic to America. The French were flush with their success in helping the colonies beat England in the American Revolution. The presence of Ben Franklin and his successor, Thomas Jefferson, in Paris fostered an enthusiasm for intellectual and scientific exchange between the two countries. It is probable that Michaux first met Jefferson in the summer of 1785, though there is no record of it. Michaux sailed for the New World in the fall of 1785, landing in New York after a stormy passage of 47 days. He visited George Washington at Mount Vernon in June 1786, and Washington offered to let him keep some of his collections there until he was ready to go back to France. Michaux continued on to the Carolinas, where he was warmly welcomed in Charleston but found the cost of living too high to bear. He rented (and later purchased) a country home near Charleston with 111 acres for cultivating plants to take home. He also made plans to send partridges, ducks, deer, wild turkeys, and even buffalo home for the King’s hunting grounds! Michaux brought his teenage son Francois over from France to live with him. Accompanied by Francois, Michaux botanized along the coastal regions of Carolina and Georgia in 1787, then moved up into the mountains and the Cherokee Nation, where he engaged Indian guides to lead him along steep and rocky trails. In 1788, he visited Florida. Throughout his travels, Michaux kept a detailed journal of his adventures and the people and plants he encountered. In 1789, he spent 8 weeks in the Bahamas. For some time, Michaux had become uneasy about the difficulty of obtaining funds for his gardens in New Jersey and Charleston and for financing his journeys. In July 1789, he learned of the storming of the Bastille, hardly reason for confidence that the check was in the mail. Adding insult to injury, Francois was shot in the eye by an errant partridge hunter and partially lost his vision. Michaux sent his son back to France in early 1790, along with fourteen chests of trees, seeds, and acorns. 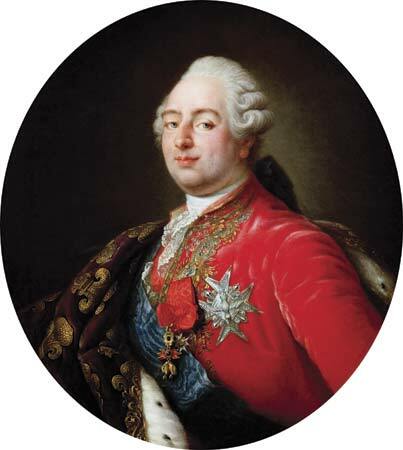 While Michaux was on botanizing tour of Georgia and Cumberland Island, he learned that Louis XVI made a desperate attempt to escape from Paris and was brought back and imprisoned. Michaux feared he would be recalled before he could complete his darling project, a botanical geography of eastern America, and he wanted to carry his research on botanical topography northward into Canada. In the spring of 1792, he spent the summer exploring among the rivers and lakes of Quebec, engaging Indian guides to help him traverse difficult mountain trails and portage around river obstacles. He barely made it back before winter engulfed the Hudson Bay. In the meantime, France abolished the monarchy and officially proclaimed the Republic of France. After seven years living in a free society, Michaux probably didn’t shed many tears over the fall of the monarchy. It did, however, throw his financial situation into chaos. He was not certain that the French Republic would renew his services, let alone honor his unpaid back salary. He was destitute. Ever resourceful, Michaux approached the American Philosophical Society in Philadelphia, proposing a journey to the sources of the Missouri River, for geographical knowledge. His offer piqued the interest of Thomas Jefferson, then Secretary of State. 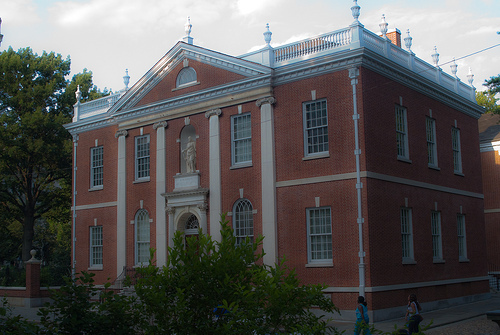 At Jefferson’s urging, some of the most prominent men of the age became subscribers for the trip, including Jefferson, Washington, Adams, Madison, and Hamilton. President Washington pledged 100 dollars. Surprisingly, Michaux turned down the subscription, telling the Society he preferred to travel at his own expense. Any money raised would be used to pay off his back drafts on his salary. He quite clearly did not want to be obligated to the U.S. government. In March or April 1793, Jefferson submitted instructions to Michaux, very similar to those he wrote out later for the Lewis and Clark expedition. (It is documented that Jefferson’s 18 year old neighbor, Meriwether Lewis, learned of Michaux’s planned trip and begged to be allowed to go. Jefferson turned him down.) Michaux was getting ready to leave for the west when who should arrive on the scene but the first diplomatic envoy from the new French Republic, the minister plenipotentiary “Citizen” Genet. Little did our unassuming botanist friend know that he would soon become a reluctant secret agent. During his travel to Persia, Michaux didn’t problems with Turks, but he had difficulties in Mesopotamia (now Irak) with arabians tribes at ware with the ottomans authorities. Michaux was kidnapped near Bassora by an arabian tribe, but the british consul to Bassora could arrange his release. Régis Pluchet, great-great-grant nephew of André Michaux. Regis, thank you so much for adding these details to the story. It will help everyone who finds these pages in the future!